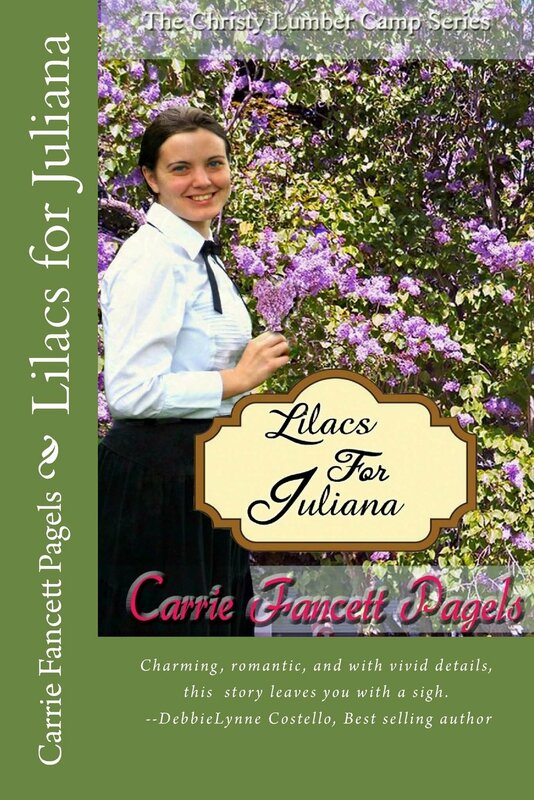 Lilacs For Juliana by Carrie Fancett Pagels is the third book in the Christy Lumber Camp series but can be read as a stand-alone. It begins part of the way through the second book with the action being seen from Juliana and Richard’s viewpoints. As with the previous novels, a major theme is taking care of the widows and orphans. Juliana’s four brothers and father have died. She feels it is her responsibility to provide for her mother and younger sister Claudette, both of whom suffer from rheumatism, meaning they are unable to work. Juliana is the librarian with a heart for the local orphans, employing Gracie an older orphan as her assistant. She also tells the orphans stories, hoping not only to expand their knowledge but to encourage a love of reading. Juliana has an open heart and an open hand, helping others whenever she can. Richard also has a heart for orphans. God’s heart can be seen to be working through them both. Lilacs For Juliana also deals with the theme of faith in God. God’s will and direction for life cannot always be seen but the reader is reminded of Jeremiah 29:11 that God has plans to prosper us and for our future. Juliana steps out in trust for God’s direction over her life. Juliana has been hurt in the past and needs to let go of this hurt and to forgive. This needs to be done in partnership with God, as she is unable to step out in to the future without dealing with the past. Juliana is lacking in self confidence and believes she is not good enough for Richard. He too believes he is not good enough for Juliana “he wasn’t worthy of her… he was a lumberjack and she was an educated woman.” Both were looking at the outward appearance, whereas God looks at the heart. There are several romances brewing within the novel, and there is a love triangle too. James Yost, a brewery owner seems to have his sights set on Juliana. Richard believes Yost is a better match for her as she can be kept in luxury but it is not always about money. Families play an important part within Lilacs For Juliana. There are various types of family – blood family, the orphans, the lumber camp. Everyone longs to belong to a family that will show them love and care. Juliana is very much a modern woman in the 1890’s. Not only is she supporting her family financially but she also implements a new system in the library and she cycles to work. She is still a woman stuck in a man’s world and as such is bullied by library patron Mr Hatchet who wants to replace her with a man. 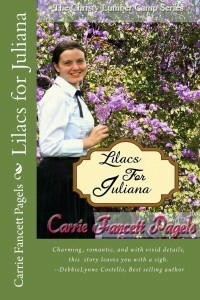 Lilacs For Juliana is a fantastic offering by Carrie Fancett Pagels. There is just so much that is good in the novel that it makes writing a compact review hard – what to include? What to leave out? It’s a nice problem to have. I have thoroughly enjoyed the Christy Lumber Camp series and am sorry to come to the end. If you have never read this series, then I urge you, buy it today and give yourself a treat! You will be glad you did. Thank you so much for this wonderful review Julia!!! I just love how you get what I am trying to convey! There will be at least one more story in this series Lord willing!